Following recent news that the new and improved Ultimate Edition of the original Gears of War would be coming to PC, Microsoft has stealthily dropped it onto the Windows Store today, only announcing it over on the Xbox Wire after they had done so. Gears is heading onto PC in a truly Ultimate fashion, introducing the ability to run at 4K resolution with a constant 60 frames-per-second during the entire campaign. A good amount of the multiplayer feature will be able to pull this off as well, but not as reliably as the campaign can accomplish. All this means that if you’d like to get the absolute full potential of this even more enhanced version of Ultimate Edition, you’ll need a damn good PC to run the highest settings. But even if you don’t have the power to run 4K, you can still enjoy Ultimate Edition at a much higher standard than the Xbox One version. When asked about the changes that his team made to Ultimate Edition when transitioning it from Xbox One to PC, the Technical Director at The Coalition, Cam McRae said that “one of our goals with the PC version was ‘don’t touch the art.’ But beyond that, we changed everything.” The changes began by ripping out the game’s rendering in order to rebuild the original systems with improvements from more recent versions of Unreal Engine. The main improvements that can be seen are the ones made to characters and environments, but the major updates can also be immediately noticed when perceiving how the game renders lights, shadowing, and reflections on water and other surfaces. Other than those changes, The Coalition development team also uprezzed almost every single in-game object in poly count by about 10 to 30 percent. Furthermore, all textures and character models have also been uprezzed, pushing the capability of Ultimate Edition to its highest possible standards. Even though there are huge upgrades that have been made, the game has suffered some issues upon release as could’ve been predicted with a game that has been completely rebuilt from the inside out. Some of the issues that The Coalition has said they are aware of and are working on range from a Windows Store download error, to problems with the game performing on AMD cards using GCN 1.1/GCN 1.2. Until a future update that will be quickly addressing all these issues, The Coalition suggests to players on GCN/1.1/1.2 cards to play on 1920x1080 resolutions or lower. 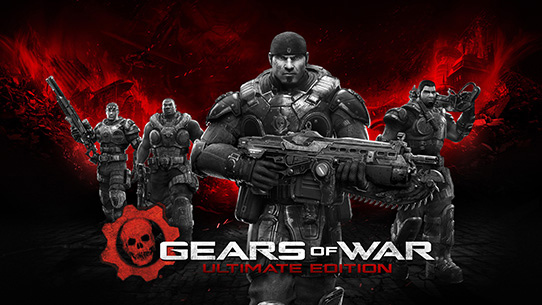 Gears of War: Ultimate Edition is currently available for download on the Windows Store, and you can check out all of the currently known issues going on, or just browse around the Gears forums here. Night, Noobert, SharpGhost and 2 others like this.